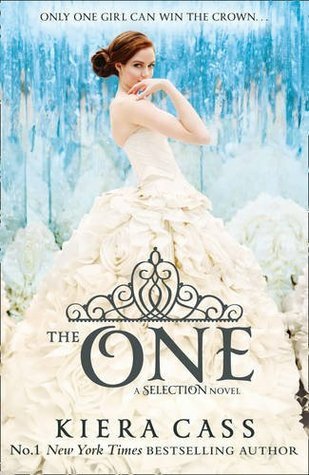 The One (The Selection #3) by Kiera Cass. June 2014. HarperCollins. Goodreads. Book 1: The Selection. Book 2: The Elite. This final book in this trilogy was my favorite! The One by Kiera Cass was such an exciting, romantic, action filed story. I loved it! I read this book back in July! I wish I’d had time to post a review before my brain tumor surgery back in August. Oh well. I’m catching up now. I loved reading the story of America. She was a fun character to watch grow in knowledge and emotions. At times her decisions was frustrating to me, but by the end I loved how everything worked out. The two guys were again fun to read about. I really liked both Aspen and Maxon. With a little love drama in books I don’t always care if they get with the girl they love. I just want them to be with someone that will love them strong like he loves. Anyway, I was really happy how this turned out. I loved the final book in The Selection series! If you want a fun Young Adult trilogy for Christmas then this would be a great one to give or receive. Check out the eBook series collection on Amazon by clicking the picture/link below. I just found out that there will be another book in the series, but it’s twenty years later. It sounds like another great story to read! I can’t wait.